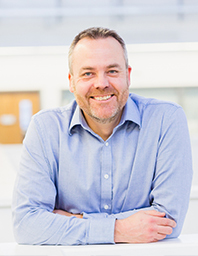 Paul Collins is the MD and co-founder of SPICA Technologies, a technology specialist and systems integrator whose purpose is to help Facilities respond to the changing needs of the workspace through connected technology. Paul has over 20 years experience of enterprise systems integration, starting his career with IBM before going on build a successful IT Integration and Collaboration consulting practice, operating as CTO. Paul and his co-founders launched SPICA Technologies in 2015 to provide clients with innovative connected-device solutions, exploiting technologies such as the “Internet of Things” to help them deliver better products and services.